Anyways, I saw this mascara on the Pixiwoo youtube channel a while back where Samantha showed how it worked and I knew I had to try it. It is a mascara with a rotating wand that helps you comb through your lashes while applying the mascara! I love a good gimmick like this and when I saw it on our Beauty Blogger's Afternoon of Fun, I snapped it up. It was €10.99 in Superdrug and I think it's the same price in Boots. It takes an LR50 battery and I wonder where you can find spare batteries, but then again, would I be bothered searching out a new one? The tube itself is thicker than my other mascaras. The wand part of the mascara is bigger than the tube containing the formula and that's because it contains the little rotating mechanism. There's a little on/off switch that you slide to change the direction of the rotations depending on what hand you're using and what eye you're applying the mascara to. The little diagram beside the switch shows you which direction the wand will rotate but to be honest, my brain cannot actually visualise this, so I just flick the switch to whatever one takes my fancy and I have to hold the mascara up to my eye and then I can see which way it's rotating! The wand is a regular sized wand, nothing special or different but to be honest, there's enough going on with this mascara to be having to deal with a big wand! It's a grand size to make sure you get into the little lashes on the inner corner of your eyes. I love the formulation, it's the perfect consistency, thick enough to give volume and length to the lashes and thin enough so as not to cause clumps. So basically, you flip the switch and let the mascara do the work for you. I like to hold it at base of the lashes and let the product work into the roots. I never usually get this close to the roots of the lashes without poking my eye out with other mascaras, but this really does make it easy peasy. The fact that you can let the brush work at the roots means that this lifts and curls the lashes beautifully. I usually comb the wand through the lashes slowly, letting it rotate and apply the product. Have a look at the photos below! 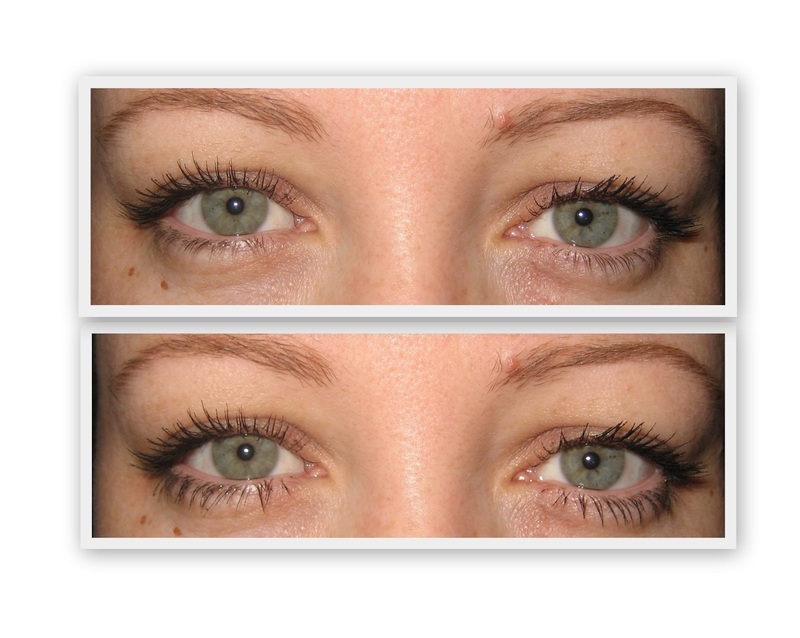 Above you can see the difference it makes on the upper lashes. It thickens, separates, curls and lengthens them. Doing my right eye is grand and easy, I just have the wand rotating in one direction. Doing the left eye proves slightly more difficult! I change directions, first coming across my face with the wand pointing towards my ear and then turning the wand so that it's pointing towards my nose (hope that makes sense!) Changing direction like this means I have to change the direction of the rotation, but that's about as difficult as it gets. If you're feeling brave, you can apply the mascara to the tops of the lashes, a step that I never do anyway but I did have a go at the end of messing around tonight. It's a very strange sensation having the wand comb through your lashes like that, but it does add more volume to it, but in my case, it also added mascara to my eyelid, being the messy person I am! Above you can see the effects of the mascara on both eyes﻿. The top photo has it on just the upper lashes and the bottom photo shows it on the bottom lashes too. I played around with the mascara using the rotating wand for the bottom lashes and it didn't do anything at all, so I just apply it as I would a normal mascara, less faffing about. All in all it's a pretty decent mascara. Would I buy it again? I probably would at the price it is now, it's on offer at €10.99 but I wouldn't pay more than that. It's definitely worth a go for the pure gimmick factor of it, but I don't think I'd bring it with me on a night out, could you imagine? A few drinks and a rotating mascara wand?! Oh the horror! Has anyone tried this mascara yet? Did you end up with tangled lashes or was it smooth sailing? LOL, Inspector Gadget, you mad woman! That looks divine on your eyelashes! Seems like it does the job you hired it for! 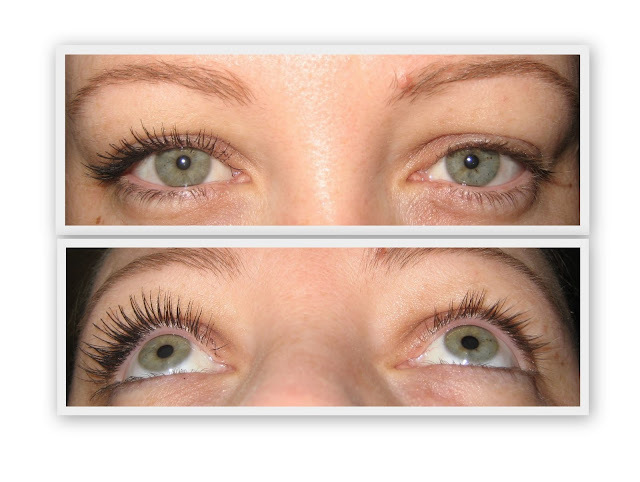 Your lashes look incredible! May have to give this one a try...at least, when the mascara is finished, you still have the wand!